The Nina Dress by Cotton and Chalk for Simply Sewing Magazine was sat on my sewing list with no real conviction. I probably would have gotten around to it at some point. 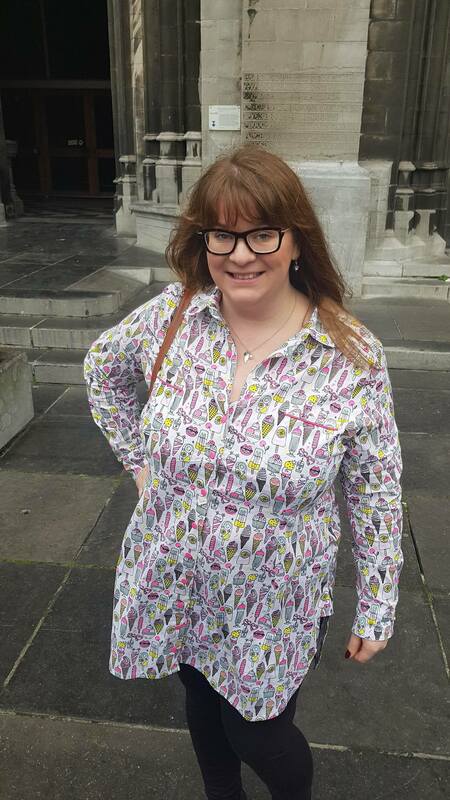 Then I saw the #sewtogetherforsummer challenge on instagram created by the lovely Sarah, Monika and Suzy in which everyone is making a shirt dress.. err.. for Summer, obviously! 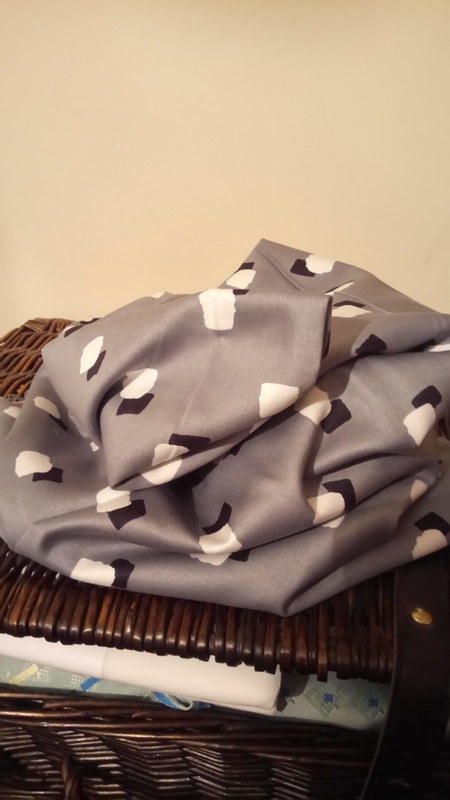 I had bought this lovely grey vintage fabric in my holiday haul and even though it’s not very summery, it’s a lovely soft colour and really light. 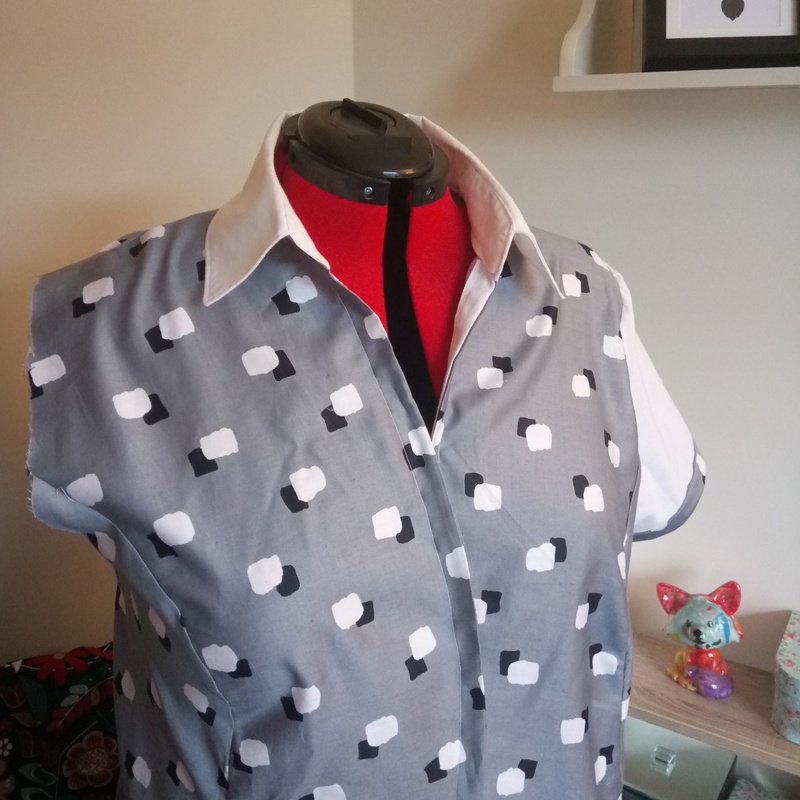 I was determined to make it work, even though I didn’t really have enough fabric… So there was some serious pattern tetris going on and I still didn’t have enough for the collar and the facing… Or the sleeves. My solution was to use a contrast and I’m not sure if this has worked or not. I cut my size and measurements, even though my previous attempts at Cotton and Chalk patterns have been dangerously heavy on the ease! I thought this would work to my advantage when making a shirt dress as ready to wear dresses like this often don’t fit me. There’s 6 body pieces, which came together nicely. In lieu of my facings, which I don’t really like anyway, I used a white bias binding as I knew I was using white for my collar and sleeves. 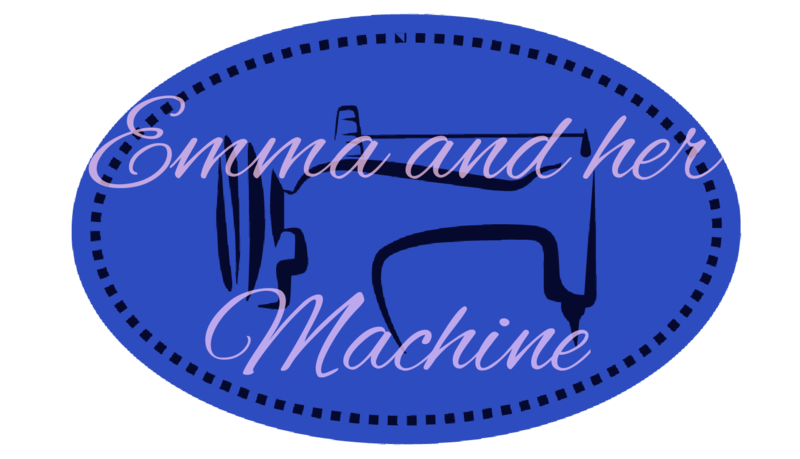 In spirit of the challenge there is a fabulous tutorial on collars on Sarah’s blog which I had a good read through; it has some great tips. I’ve only ever done one collar before on my brother’s shirt but I strangely enjoy the process. I’m really pleased with this way this one turned out and definitely won’t be scared of them in future. On a whim and in an attempt to tie the contrast sleeve in with the rest of the dress, I created a slim cuff for my sleeves in the grey. The pattern does come with a frill cuff but frills aren’t my thing. I put it together to a point, before my mum came for tea and I was forced to tidy my house! Rude! I looked at it at this point and felt it looked a little like a uniform. It was also, predictably, too big but I had the 6 seams to work on for fitting. And.. oh my goodness, did I have to work on the fitting. It not only had too much ease but it was absolutely massive. I used a technique (if you can call it that) which I’ve seen lots of people do and I pinned it at the front, put it on inside out and stapled it in place where I needed to take it in. After this very long process I had a dress which fit but had a bit more flare at the bottom, which I actually quite like and I think suits my shape. I found these amazing white square buttons at my local haberdashery, which tie in with the pattern perfectly. As I added these and started to get the fit, I found I started to like it better. 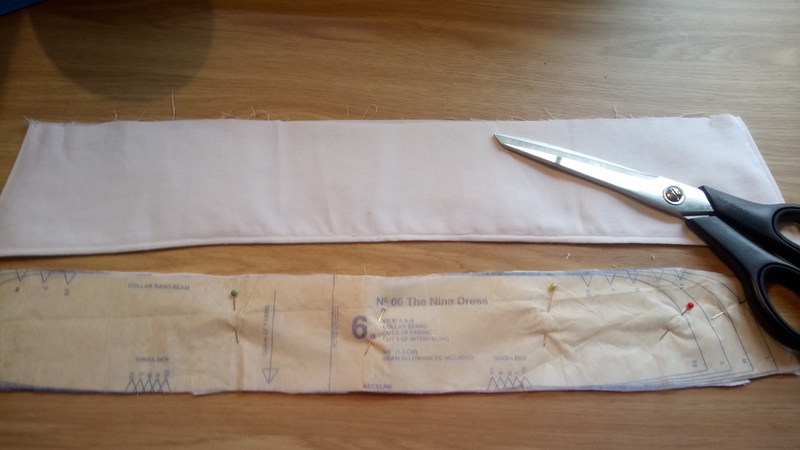 I hand hemmed the bottom, which is fast becoming my favourite way of finishing garments, now that I have gotten over my hatred of hand sewing! Then, she was complete. For some reason I then left her sat in my wardrobe looking at me, until the day I came to wear it to work and I realised I love it, I love the colour and it has suprisingly won me round as a summer dress, I love the shape and I love the square buttons the most!! It’s been a great challenge to be part of and I’ve since tackled two more collars, which you will soon see on my next makes, I’m sure.